Home Blog A brisk walk on the Mountain in English! A brisk walk on the Mountain in English! Sorry guys, this isn’t the best photo I’ve ever taken, but it’s great to see everyone smiling! We went for a nice long walk this evening on the Mountain and covered a lot of ground. 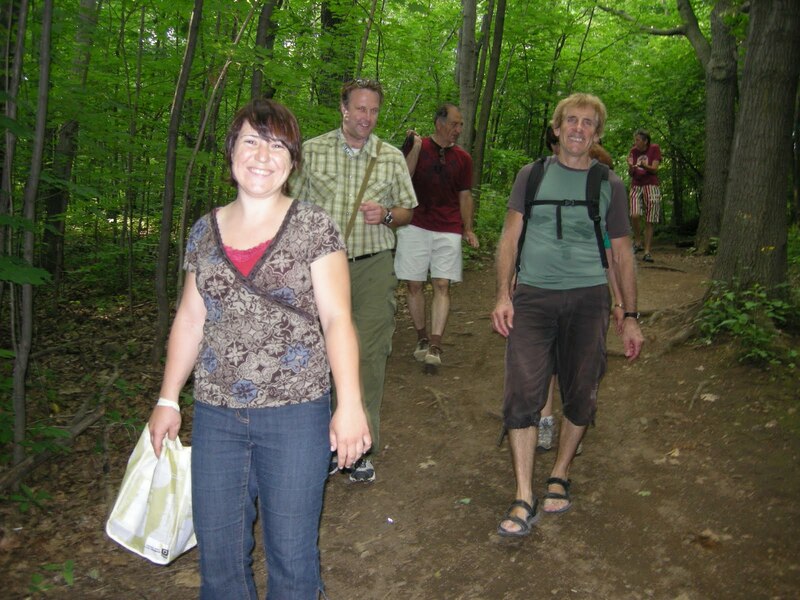 At one point we were deep in the woods of Mount Royal, fending off attacking mosquitoes – it felt a bit like being in a jungle!! Our participant from St. Albans, Vermont, gets the prize for the person living the furthest away. He’s signed up to practice French but comes out to help with discussion in English as well – thanks!! Otherwise, there are many people from Quebec and France here learning English, and others from elsewhere in Canada, Iran, Turkey Japan, China, England and Scotland, practicing their French conversation. Hope I haven’t left anyone out!! Next articleVisite d’un étudiant en journalisme hier soir!